Professor and HOD of Psychiatry Department in J S S Medical College, Mysore. Famous psychiatrist and Sexologist of Mandya, Professor and HOD of Psychiatry Department in J S S Medical College, Mysore. M.B.B.S from J.J. M Medical College, Davangere (1973-78). D.P.M from Christian Medical College, Vellore (1980-82). M.D. (Psychiatry) from Christian Medical College, Vellore (1980-83). PG Diploma in Hospital Administration from Christian Medical College, Vellore and Tulane University, USA (1992). President of Karnataka Sexual Science Academy. Credited with more than 150 published papers in indexed journals, 200 other publications, 12 books and more than 500 Scientific Programmes at State, National and International level. Please give your views on depression among doctors? In this video, Dr. TS Sathyanarayana Rao, Professor of Psychiatry, JSS Medical College, Mysore, will talk on his view.. Please give your views on anxiety among doctors? Dr. TS Sathyanarayana Rao, Professor of Psychiatry, JSS Medical College, Mysore, will discuss his views on anxiety am..
What are the new treatment modalities in suicidal ideation? The video talks about the new treatment modalities in suicidal ideation by Dr. TS Sathyanarayana Rao, Professor of Ps..
What are the new treatment modalities in personality disorders? In this video, Dr. TS Sathyanarayana Rao, Professor of Psychiatry, JSS Medical College, Mysore, will explain the new ..
What are the new treatment modalities in mild cognitive impairment? Dr. TS Sathyanarayana Rao, Professor of Psychiatry, JSS Medical College, Mysore, will discuss the new treatment modal..
What are the new treatment modalities in dementia? This video talks about the new treatment modalities in dementia by Dr. TS Sathyanarayana Rao, Professor of Psychiatry..
What are the new treatment modalities in OCD? In this video, Dr. Sathyanarayana Rao, Professor of Psychiatry, JSS Medical College, Mysore will talk on the new trea..
What are the new treatment modalities in anxiety? Dr. Sathyanarayana Rao, Professor of Psychiatry, JSS Medical College, Mysore, will explain the new treatment modaliti..
What are the new treatment modalities in depression? In this video, Dr. Sathyanarayana Rao, Professor of Psychiatry, JSS Medical College, Mysore, will talk on the new tre..
Whats new in mental health in last one year? 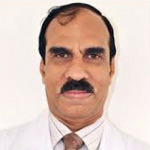 Dr. Sathyanarayana Rao, Professor of Psychiatry, JSS Medical College, Mysore, will talk on any new developments in me.. Please give your views on post suicidal attempt treatment? In this video, Dr. Sathyanarayana Rao, Professor of Psychiatry, JSS Medical College, Mysore Answer "Please give your vie..